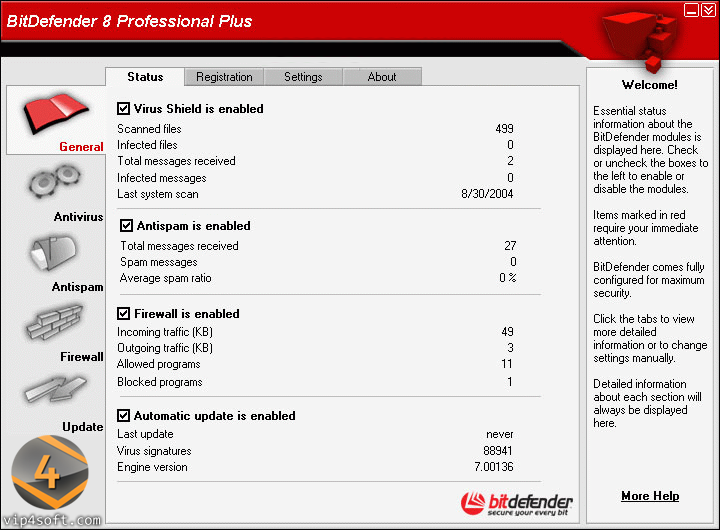 Bitdefender 8 (Standard/Professional Plus) Virus Definitions March بيد يفندر 2014 لمكافحة الفيروسات وهذه التحديثات الخاصة بالبرنامج حتى تاريخ 12/03/2014 . The package cumulative.zip is published every week on Monday and includes all the virus definitions and scan engines updates up to the date of release. The package daily.zip is published everyday and includes all the Virus Definition Updates from the last cumulative release till the current date.